Long Beach, Calif. – May 10, 2011 – Formula DRIFT has announced a non-championship point competition at the Texas Motor Speedway, “Ultimate Drifting,” presented by Scion and Motegi Racing. The drifting competition will proceed the high-speed action of the historic Firestone Twin 275s on Saturday, June 11, that also includes the IZOD IndyCar Series race. 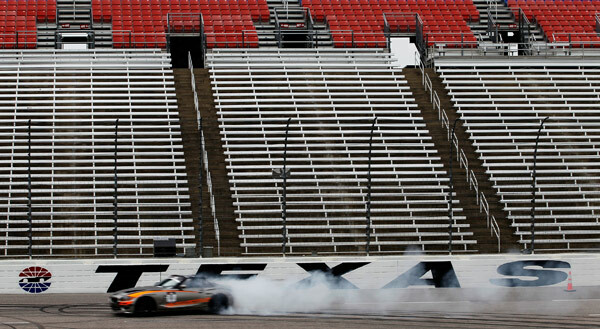 Texas Motor Speedway’s pit lane and frontstretch will transform into a winding course for eight Formula DRIFT drivers as they race in a non-points competition spectacle free to Firestone Twin 275s ticket holders. The drivers include: Fredric Aasbo, the 2010 Formula DRIFT Rookie of the Year, Michael Essa, Kyle Mohan, Joon Maeng, Tony Brakohiapa, Patrick Mordaunt, Jeff Abbott, and a final driver to be named for a competition in the traditional bracket elimination format. The competition will begin at 6 p.m. CT. Ultimate Drifting sponsors Scion and Motegi Racing have continued to play a major role in Formula DRIFT and one of Texas’ largest single-day sporting events provided the ideal avenue to continue the growth of the sport. Coupled with Ultimate Drifting presented by Scion and Motegi Racing, TRAFFIK, one of the largest touring car shows in the world, will provide a wide array of unique rides during its car show that will be held from 1-6 p.m. outside Gates 1 through 3. 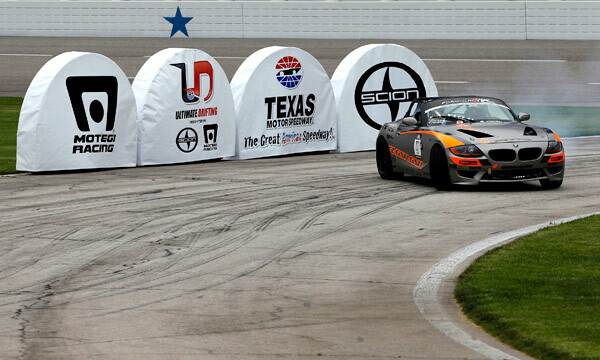 Tickets, which begin as low as $31, for the historic Firestone Twin 275s and Ultimate Drifting, presented by Scion and Motegi Racing are available by visiting www.texasmotorspeedway.com, or by calling the Texas Motor Speedway ticket office at (817) 215-8500. Previous Previous post: VegasProAm Rd 2 – Register is Now Open!